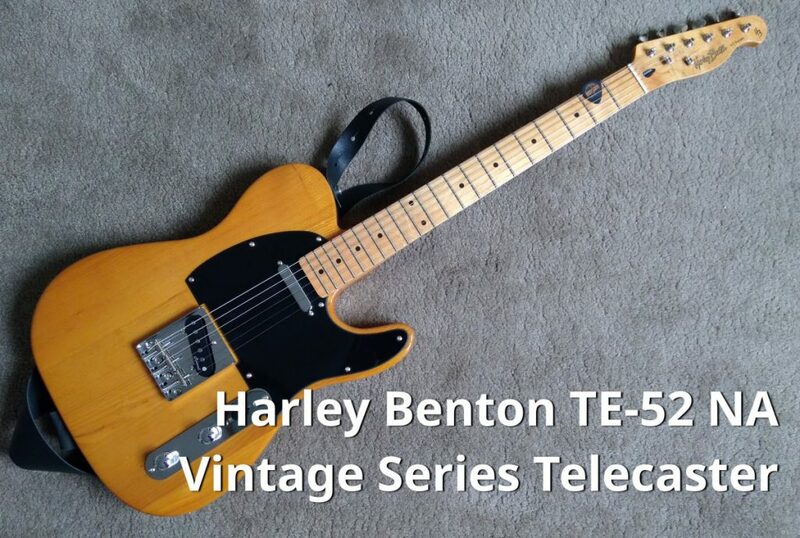 The Harley Benton TE-52 NA Vintage Series Telecaster is a Fender Telecaster “look-a-like” Telecaster guitar and not only a lookalike but also a ‘sound-a-like’. It comes with all the sparse features the original Telecasters had: 3-way switch, tone and volume, 2 single coil pickups (Roswell TEA alnico-5 TE-style). A solid wood (Ash) body. C-profile neck, decent tuners, 21 frets and deluxe chrome hardware. The guitar comes with with d’Addario .009-.042 strings according to the Thomann website. I do have some doubts about this. I’ll get back to that later on. Anyway, how’s that for a guitar that will only set you back EUR 139.00?? What can you expect, build and sound wise? 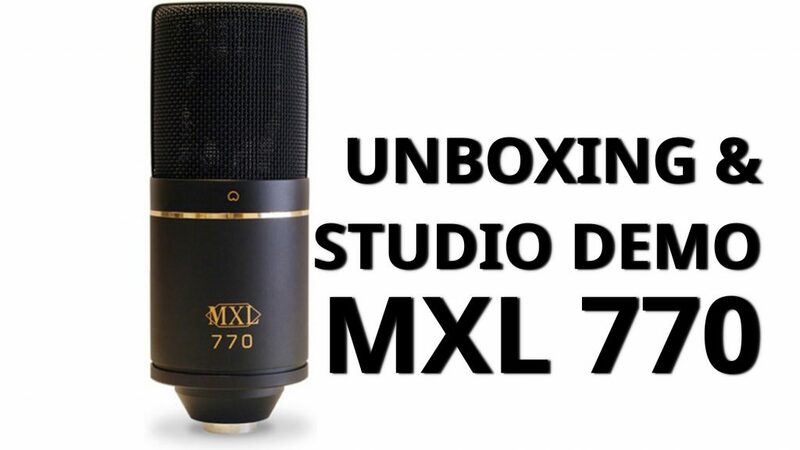 As I wrote in the post about the MXL770 mic, I turned 50 the other day and my wife gave me a few very nice presents! Apart from the MXL770 she also gave me (amongst other non-music related gifts) this Harley Benton Telecaster. It had been on my wish-list for some time. But I already have a very decent collection of guitars so I didn’t dare to buy another one 😉 She knew, however, that I wanted a Telecaster. So, .. I got it as a birthday present! This now more-or-less completes my wish-lists as far as guitars is concerned! I started to play in a worship band (in Church) last year and I’m using my electro-acoustic Samick guitar for that. However, on stage I noticed I was having feedback issues sometimes – so I have to turn it down too much. I want to use this telecaster instead. An electro-acoustic is, in the setting I’m playing in (Drums, electric bass, electric piano, vocal-group) just not a good choice. Hope the other band members agree. I’m having a hard time believing these strings are really d’Addario. Or perhaps a certain type that just don’t feel comfortable to me. On my Gretsch I have a set of d’Addario Nickel Wound (.010-.046’s). They have a different ‘feel’. The ones one this guitar don’t feel slick, they really hurt your fingers when bending or sliding in to a note. So they will be replaced one day soon. I will probably opt for the d’Addario Super Light Plus (.095-.044) because Telecasters aren’t build to have super heavy strings on it but I’m not completely satisfied with these. Anyway – that’s the only “con” as far as I’m concerned. Other than that, it’s a superb guitar for the money! Radio Rejects (EP) Out Now. And it’s FREE! Are you looking for original Blues, Country and some raw Rock and Roll? Can’t afford much or perhaps even nothing for music? Pay whatever you can (“name your price”). Or download the album for free if you’re willing to allow us to add your email to our contact list at BandCamp. And we promise, we won’t start spamming you! 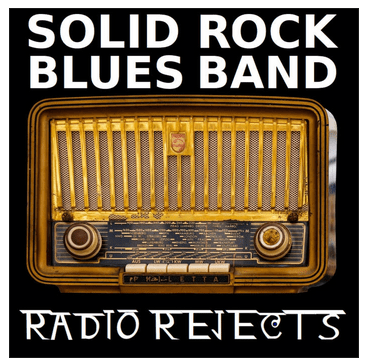 This is Solid Rock Blues Band’s 3rd album and we think it’s one of the best albums we’ve ever recorded! We want the word to get out and want it to be heard. So, we’re offering it for a “whatever you can afford” price. It took us over a year, but here it is and it’s all yours for free. Although we’d love to cash in big on this album we believe in sharing the joy of music. And if you can, yes we’d be very grateful if you’d be willing to pay some for all our hard work and effort that went into the recording and production of this album. Also available on ReverbNation (paid download) and free streaming at SoundCloud and Audiomack. However, on BandCamp ONLY there are 3 additional (hidden) bonus tracks available! Includes three, exclusive, bonus tracks! All songs recorded, mixed and mastered at the ZolderStudio (Loft Studio). 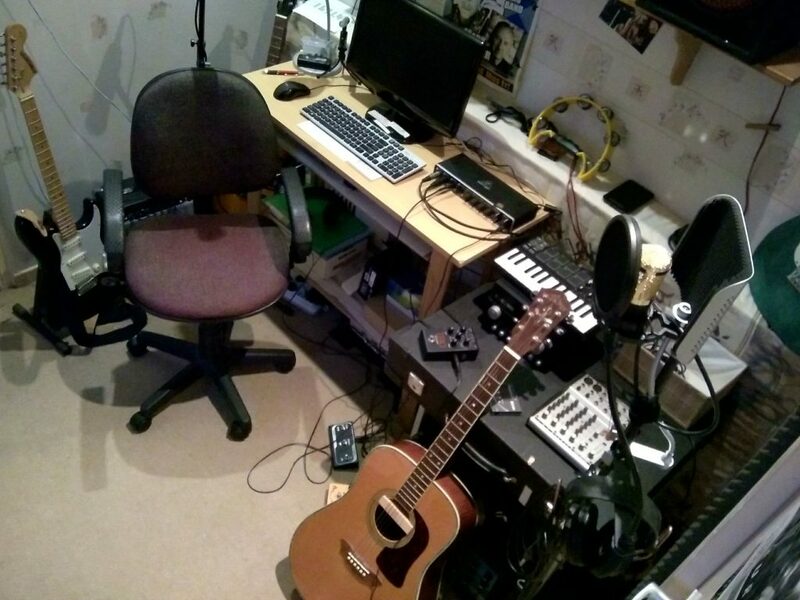 The ZolderStudio is our home recording project studio where the albums of the Solid Rock Blues Band are recorded as well as other bands/artists. 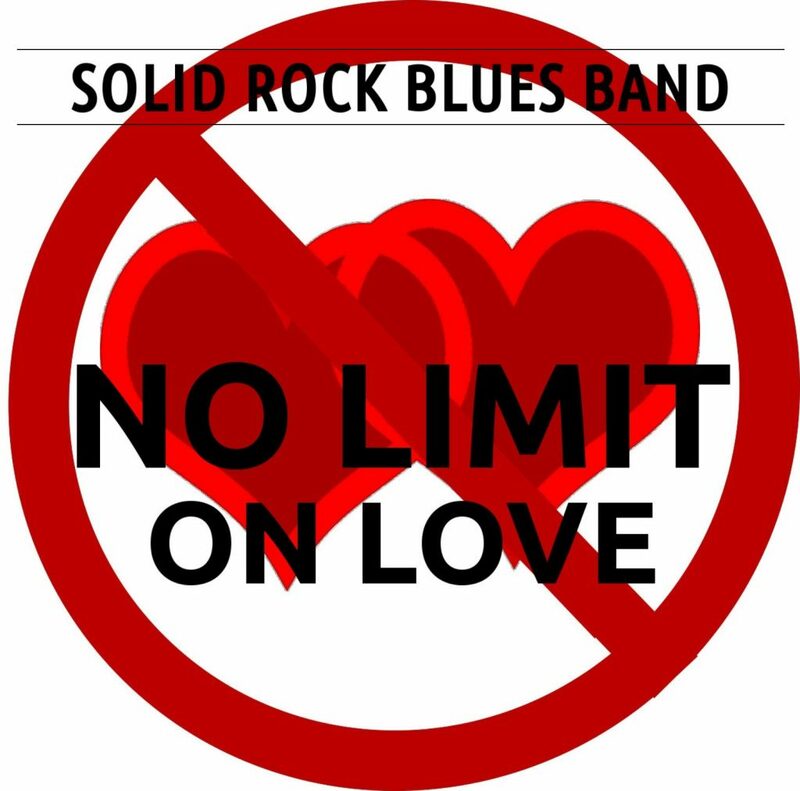 No Limit (On Love) is the new single by the Solid Rock Blues Band home recording project. A lovesong, but not the standard lovesong. Fast and up-tempo power chords blues-rock. There ain’t No Limit On Love. You can’t get no speeding ticket for loving someone so much it’s almost illegal, right? All right! So here’s our new track “No Limit (On Love)”. You can listen for free on SoundCloud, AudioMack and BandCamp. The song was written and recorded in high speed, just as the song itself is in high speed. It took only two days to write the lyrics and music and record and mix it(!) that doesn’t make it a substandard songs. Some awesome songs were written in studio’s “on the spot”. Remember the story about U2’s album “October”? The lyrics (for some songs) were lost (stolen), so Bono had to write some lyrics while they were in the studio! It’s a fast song, power-chords based and recorded at the Zolderstudio Homerecording Studio. It probably would fit the Bluesrock bag or Rock and Roll. Anyway – it’s about the favorite theme of most people: Love. And this is a love-song that isn’t about Red Roses and fast heartbeats. Like it? You can download a HQ Audio version from BandCamp for only US$ 0.70. 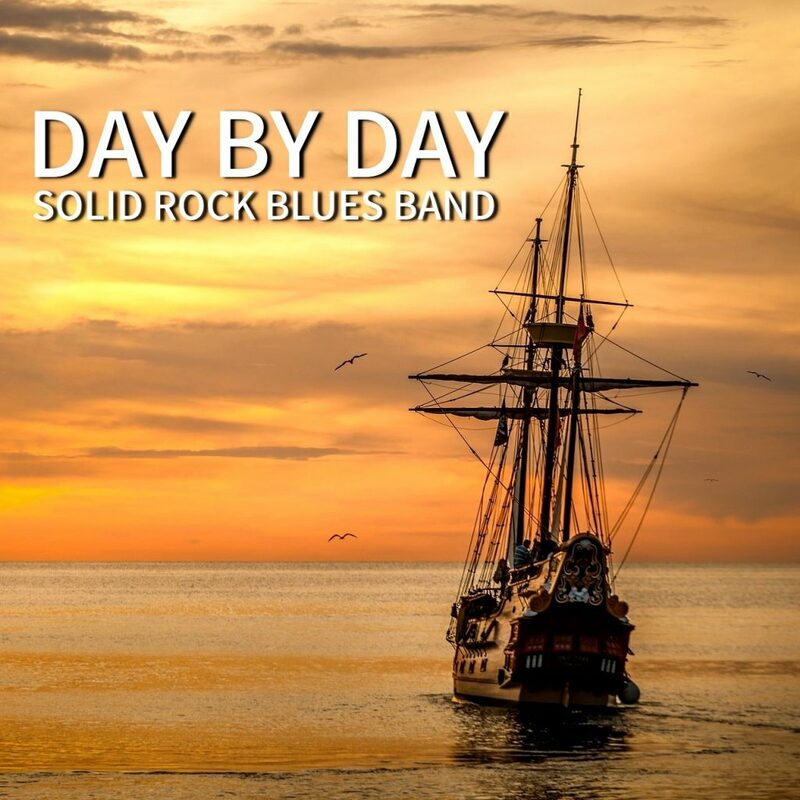 “Day By Day” contains six strong, classic, spiritual songs (hymns) in a more modern setting: instead of organs and choirs, you will hear a band using Drums, Bass, Guitars and Harp. The title track, Day By Day, was written in 1865. Most of the tracks, except for one original song, date back at least 100 years and have been popular for many decades in congregations all over the world. Over the years I’ve recorded several gospel songs (traditionals). Of course, not as you might know them from Church. Some are a little more up-tempo. Instrumentation has been modernized. Drums, Bass, Guitar, Harp. All recorded at the “ZolderStudio” home recording studio. At this moment the EP (only available, for now, on BandCamp, AudioMack and Soundcloud) contains six tracks, including one original song. All tracks can be downloaded for free. The album might include more tracks later on but for now, this is the “as is”, first, free, pre-release version. Tracks inlcuded are traditional hymns like “Day By Day”, “What A Friend We Have in Jesus” and “Just A Closer Walk With Thee”. All songs dating back, originally, well over a hundred years yet with lyrics that still are powerful, comforting and with deep spiritual meaning. We’re planning to add some more tracks later on and after that make it available as a “commercial” realease at CDBaby and BandCamp. We hope you enjoy this free (EP) Album. Feel free to share! Installing Ardour, the Digital Audio Workstation, on Linux Mint or Ubuntu isn’t too difficult if you follow the steps shown in these tutorial videos. It’s slightly outdated since they use an older version of Jack but you will find the settings in qJack when you go to Setup → Settings → Advanced. There’s a good reason to follow these steps because it will help you to install and configure realtime audio (and you will need this!) in a correct manner. The Realtime Audio will even turn a system with an onboard sound card into a good mixing and editing machine. For recording, I use a dedicated machine with KXStudio/Ardour with a 4-channel USB interface (Behringer U-PHORIA UMC404HD). But you might even be able to use a standard soundcard for recording (I have not tested this!). Now you can install Ardour. And that’s easy! Open your software installer, type in [ Ardour ] in the search field (no brackets) and install it! In the video below I will show the above mentioned steps. – Video recorded with “record my desktop” and edited with kdenlive. 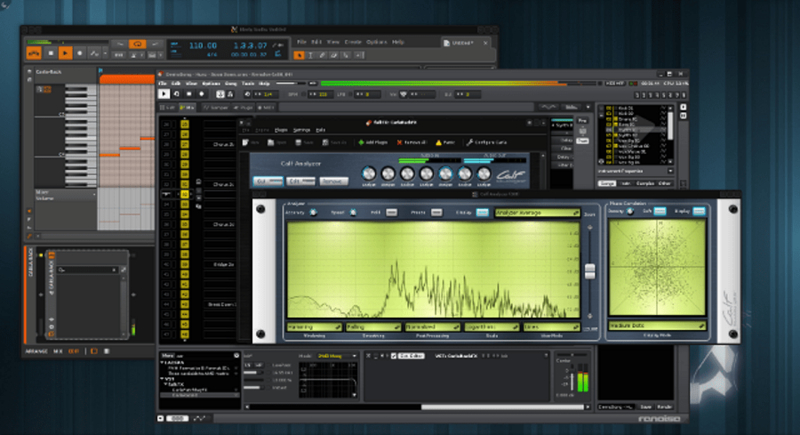 Recording and mixing with Ardour for Linux, Windows or OSX isn’t as challenging as many think. In fact, it’s pretty easy once you know what to do and how it works. In the below in-depth video you can see how I record and mix drums, bass, guitar, vocals and midi keyboard using Ardour. The duration of the video is almost 25 minutes. The song that was recorded is an original song, written by RJF Mensies and me in 2015 and recorded for the “Telenovelas” album by the Barking Aunts Project. This is a new recording and although the music is more or less the same as far as the vocal line and chords are concerned it still is pretty different. You can listen to the song on SoundCloud or Audiomack. This video will walk you trough the full recording and mixing process. Ardour is very easy to use and allows you to do a professional audio recording on a shoestring budget! More (and shorter!) video’s on recording with Ardour at the Recording page. When the video was finished I’ve added tambourine and did some final tweaking on the midi track. After I recorded and mixed the song I “mastered” it using Audacity. Using a high pass filter (20Hz, -6 dB) and W1 limiter (-2.7dB, -0.3dB ceiling). Hope you like the song and video and if you do like the video: thumbs up & subscribe.